Restaurant Massa & Petit Hôtel des Eaux-Vives is a unique boutique hotel and restaurant. Offering beautiful comfortable rooms and a fine dining experience. We can offer you a truly wonderful place to stay and dine during your time in Myoko. Chef Massa worked for 10 years at a Michelin starred French restaurant and 10 years in his own Japanese restaurant in Geneva. 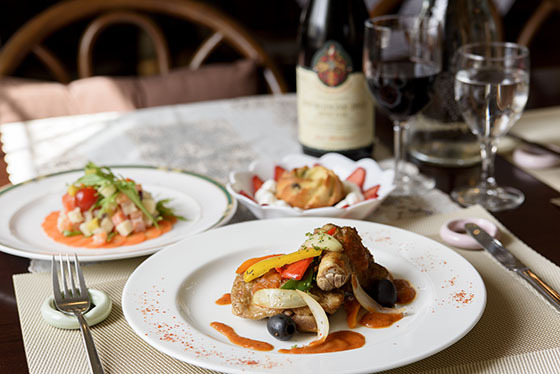 Restaurant Massa offers a fine dining experience with a menu carefully crafted by Massa. With a lunch and dinner menu available you can enjoy an affordable midday dining experience, or visit us in the evening for a full course service made using only the best fresh locally sourced ingredients. 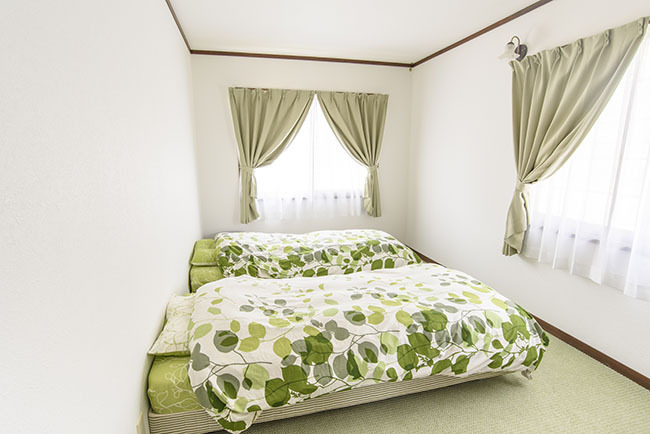 Boutique accommodation experience in Akakura Onsen, Myoko. Welcoming rooms that are bright, modern and clean. A variety of beautiful rooms that are all non-smoking and have all the conveniences needed to make your stay comfortable. Free Wi-Fi, TV, parking and of course access to Restaurant Massa. The rooms have a stunning view of Mt Myoko. All rooms come with friendly, welcoming service! Check out our Facebook page for all the latest news and to keep up with what’s happening in Myoko. Here are some recent images of Petit Hôtel des Eaux-Vives and food served at Restaurant Massa as well as some beautiful images of Myoko. We are a newly renovated boutique hotel and restaurant. Chef Massa worked for 10 years at a Michelin starred French restaurant and 10 years in his own Japanese restaurant in Geneva.